Just before tax season and serious planting season is small farmer grants and market application season. 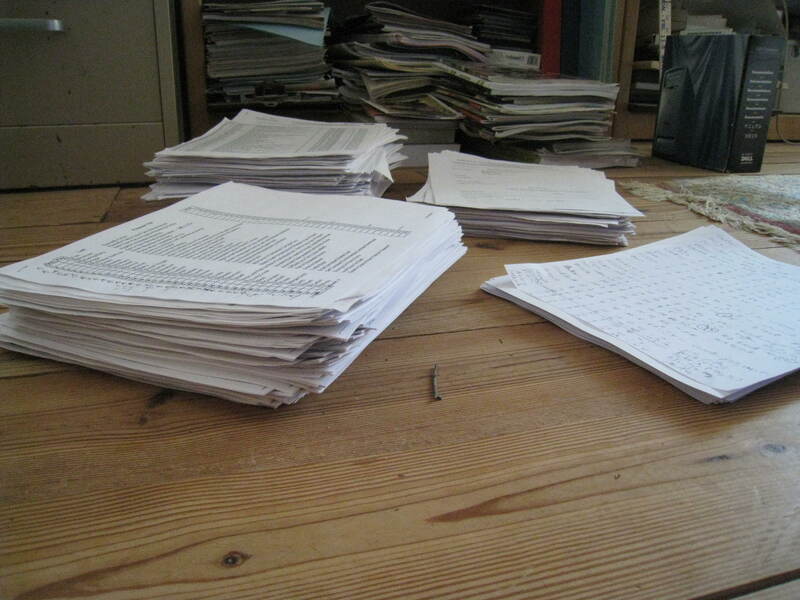 Lots of trees are felled to be able to print all the pages required for farmers to fill out. While most people have heard of the farm subsidies programs for large conventional commodity crops farmers, few know that there are an increasing number of small grants programs intended to help small and medium-sized, sustainable and organic farmers. The subsidy program payments are intended to underpin the large farms with a stable base price so that they are not entirely subject to the ravages of a world market they have no control over. These grants programs for small or non-commodity crops farmers are intended to help them with trying or developing new crops or techniques to produce crops more sustainably. While small amounts of money, usually up to $10,000, some of the best new ideas in alternative agriculture have been nurtured by these programs. We have only ever applied for and received one tiny grant. 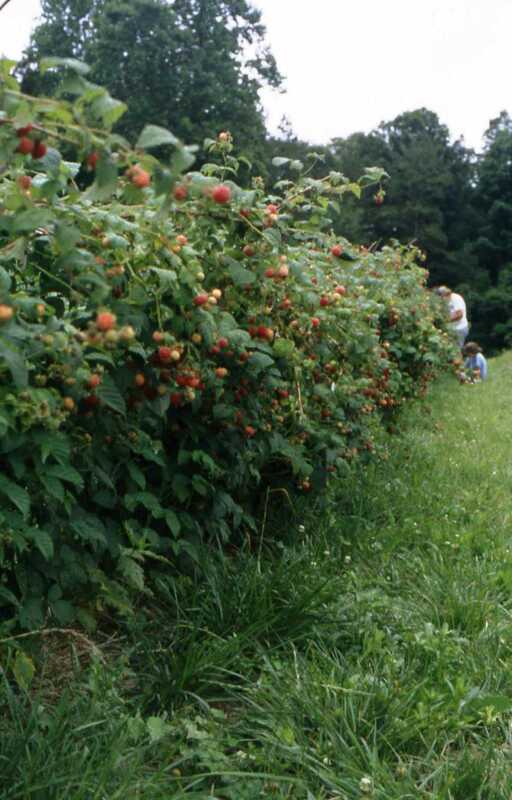 Way back in the early 1990’s we got a small amount of money to continue work we had been doing on raspberry variety trials and new ways to prune and manage them. After 21 varieties and some real break throughs in improved trellising techniques what we really learned was that raspberries are not suited for production in the piedmont of North Carolina. Sometimes research leads to an answer you don’t want, but at least it is some kind of answer. Since 1994 we have been participants, co-operators and collaborators on others projects. But mostly we have been reviewers of many, many grant applications to various competitive grants programs. We have literally read thousands of applications! These programs all operate in similar ways with review panels, comprised of people knowledgeable in various aspects of agriculture. The difference is they are funded from all kinds of sources; Federal funds, state funds, non-profit groups. Our specialty is a category usually called “Farmer Grants”, because, well, we are farmers. We think that peer review is the best and fairest way to decide what ideas have merit or are even possible. The granddaddy of these is the SARE programs Producer Grants . Alex helped develop the Southern Region’s call for proposals and reviewed them for seven years. Using that experience he has worked with the Rural Advancement Foundation International-USA to build their Tobacco Communities Reinvestment Fund grants program. Betsy founded the Association of Specialty Cut Flower Growers Research Foundation which gives out small grants for research into various aspects of cut flower production. One of the reasons we still do these reviews is to continue to build the knowledge base needed to move agriculture forward. Another is we get to see what the latest and most innovative ideas are in agriculture and sometimes it gives us ideas of new things that will improve our farming system. Sometimes it’s is frustrating because the ideas are nothing new, or poorly presented. Sometimes they are asking for money for equipment or projects that we, as good business people, just did out of our own pockets because we knew it was the direction we had to go. We believe in funding good research or demonstration projects that will benefit the greater farming community, not just one farmers operation. Many times we just have to bite our lips. What ever the situation we spend many hours reading and scoring proposals every January and February. This is followed by more hours with the whole review committee discussing the highest rated applications to narrow it down to the ones that will eventually get funded. In the end it is a worthwhile process for all.